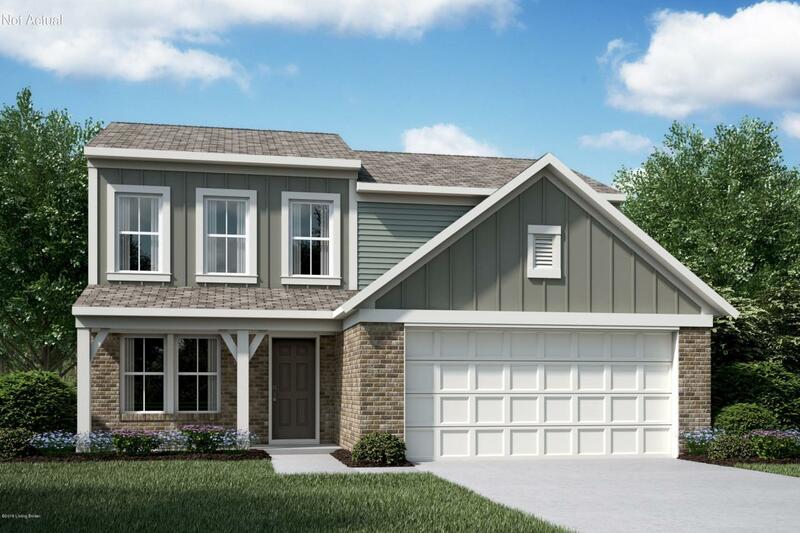 New Wesley Modern Farmhouse floorplan with brick by Fischer Homes in beautiful Boulders West at Mallards Lake featuring a 1st floor study, island kitchen, stainless steel appliances, granite counters with oak cabinets, and a walkout morning room all open to a spacious family room with a window wall. Upstairs features a master bedroom with en suite and tub with shower, as well as two additional bedrooms and a loft. There's also a 2 car garage.